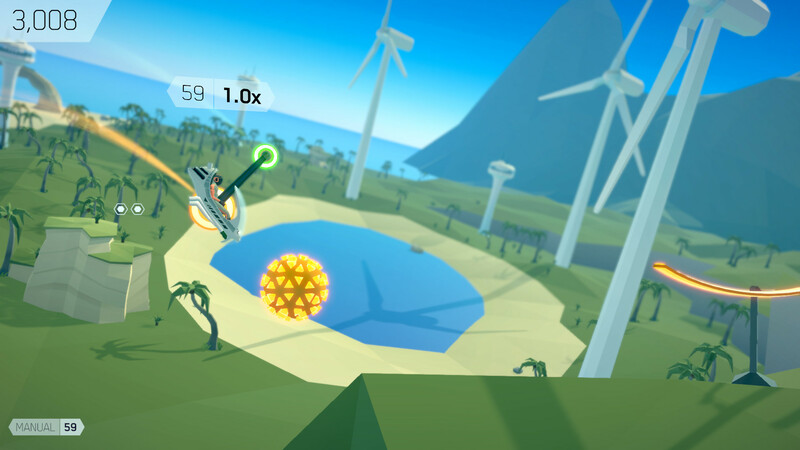 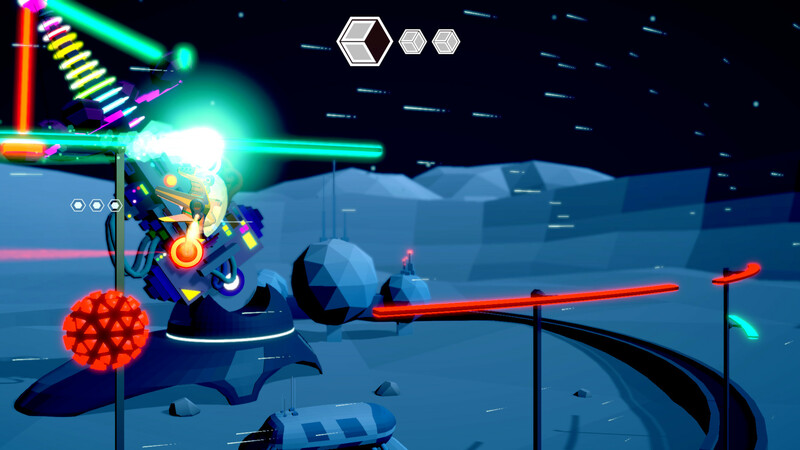 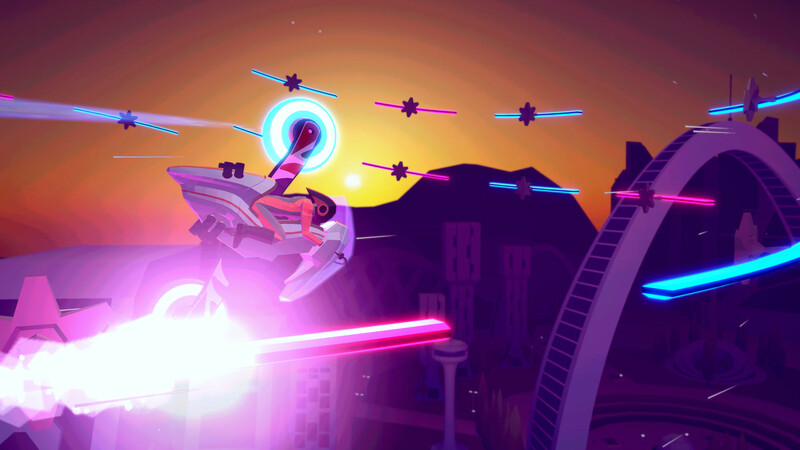 After four years of development time (from a team consisting of just two members) the stunt-platformer FutureGrind is now available on the PlayStation 4, PC, and Switch. 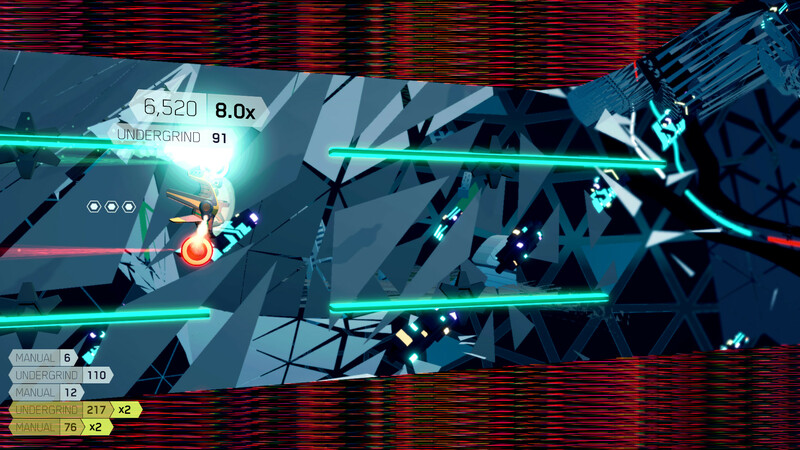 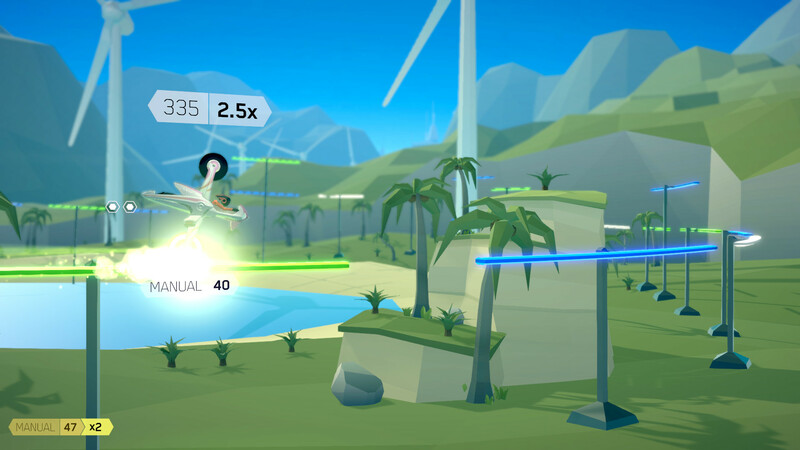 FutureGrind tasks you to flip and rotate your futuristic bike to chain huge combos. 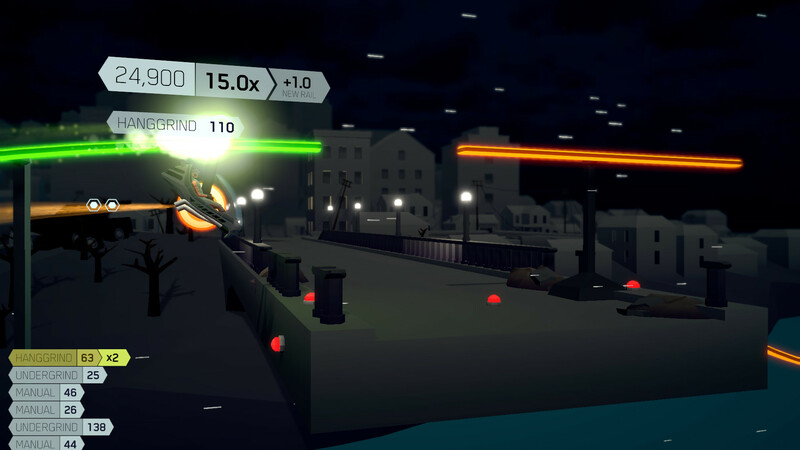 Tracks are comprised of floating coloured rails – you must match the wheel on your bike to the correctly coloured rail to progress otherwise you’ll explode into lots of small pieces. 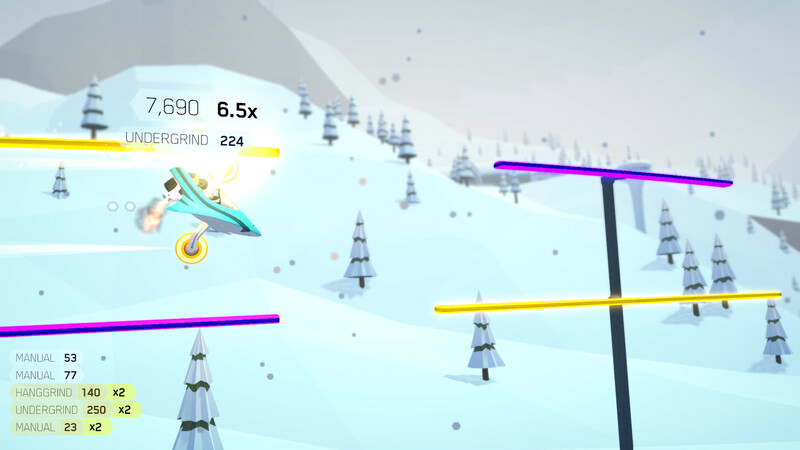 FutureGrind features dozens of tracks across many different environments from the “sunny beaches of Miramar to the snow-covered peaks of Ralhorn” as well as several bikes each with their unique style of play. 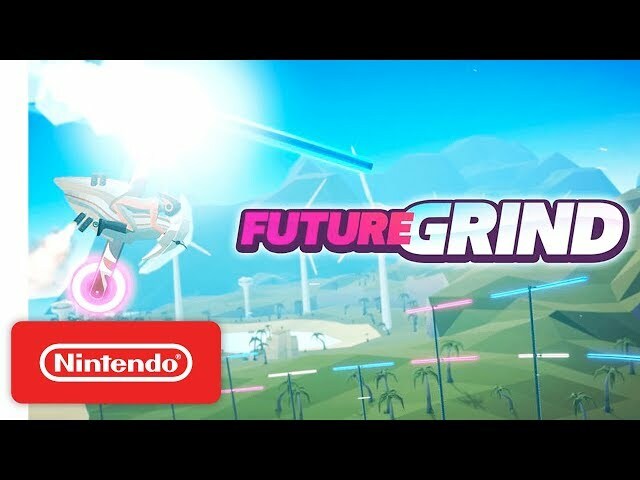 You can view FutureGrind in action in the newly released launch trailer below.